Join Kar-Ben’s Automatic Acquisition Program for Educators! Download an A.S.A.P flyer and order form to enroll today! 1) Why should my institution join A.S.A.P.? Your school or library is already purchasing many Kar-Ben titles Your school or library has missed out on ordering new Kar-Ben titles due to staff turnover or inconsistent ordering and you’re ending up with gaps in your collection. You can choose from one of our 3 plans to receive only the books that meet your institution’s needs. It's an easy, inexpensive and time-saving way to keep your classroom or library stocked with all the newest Kar-Ben titles hot off the press at a savings! No membership fee, no enrollment fee. 2) How much do I save when I order books through A.S.A.P.? You save 20% off the list price of every book in the shipment. 3) How does A.S.A.P. work? 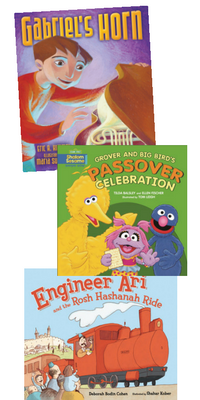 Twice a year, Fall and Spring, you will receive a shipment with a copy of every NEW Kar-Ben book published that season, from 6-12 books depending on the plan you select. All books will be quality hardcover binding unless available in paperback or board book only. 4) What are my plan options? Yes. If you wish to return any of the books you may do so within 30 days. 6) Can I cancel without penalty? Yes. You can cancel in writing at any time. Registering is easy! Just fill in the form and scan and email to custserve@karben.com or call 800-4KARBEN (800-452-7236). Register now and receive 20% off any additional Kar-Ben books you purchase today!